Ingredients: flour, sugar, eggs, butter, marsala wine, chocolate, cream, rum. At the end of the 18th century a pastry chef in Genova created génoise (which certainly sounds better than sponge cake!). 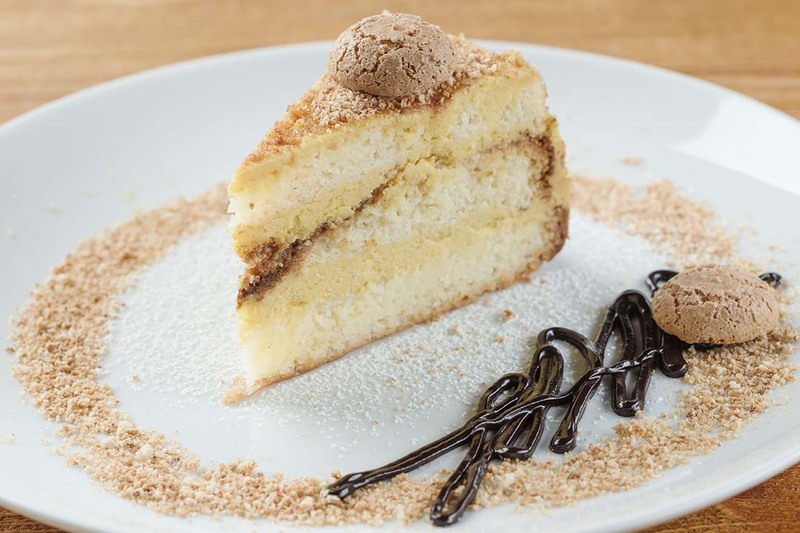 The cake is layered with zabaglione (eggs, sugar, marsala) and paired with a decadent, frozen chocolate-rum mousse.